Serving the communities of Willow Creek, Hoopa and Weitchpec. 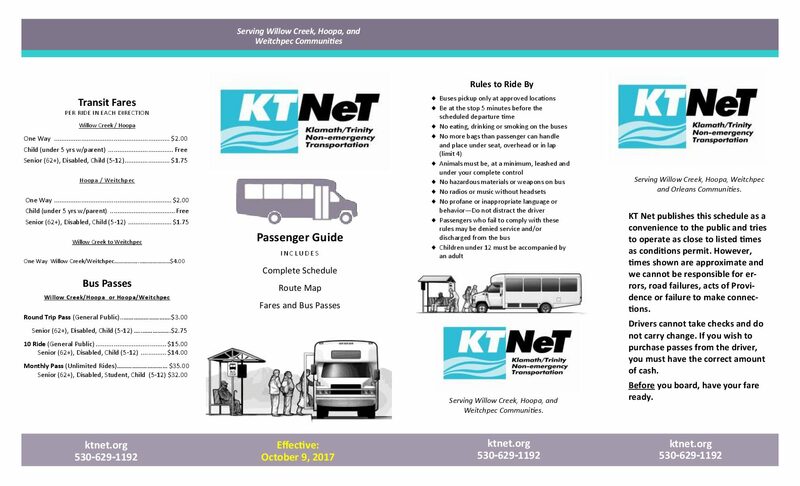 KT Net’s service provides connections to Redwood Transit (west to the coast) and Trinity Transit (east to Redding). Remember: KT Net can provide services for private events.